Time: October 22, 23, 24, 29, 30, 31. Thursdays: 7-10 pm, Weekends: 7-11 pm. 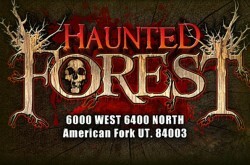 Experience the LARGEST haunted attraction in South Dakota, Terror in the Dark. While you are there be sure to check out our Halls of Mayhem. An extreme maze of paranoia and hyper intense sensations. 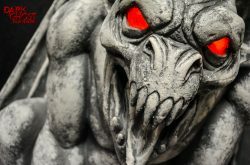 Our 12,000 square foot walk through haunted house is filled with torture, torment, terrifying screams and nightmares in a dark atmosphere filled with live actors, special effects, props and more in the Soule Building at the Central States Fairgrounds in Rapid City, South Dakota. Check out or website for further detail. We offer many money saving opportunities. Opening Night admission on Thu. October 22nd is only $5. The Dual Pass will save you $3 off of the regular price of both attractions. A canned food item will get you a buck off of admission to either attraction. Don’t forget that if you pay online you will get the added value of going to the head of the line at the haunted house. Terror in the Dark is proud to be the best value against any haunted attraction in the Black Hills.